Easily serve up a mouthwatering duo of ham and biscuits any time of day. A Burgers' Smokehouse specialty, this succulent city ham is made with a time-honored tradition of slow cooking and gentle smoking with hickory for 24 hours. The result is a moist ham with mild, sweet flavor and a subtle smokiness. It arrives sliced to the perfect thickness and size to sit on our buttermilk biscuits. 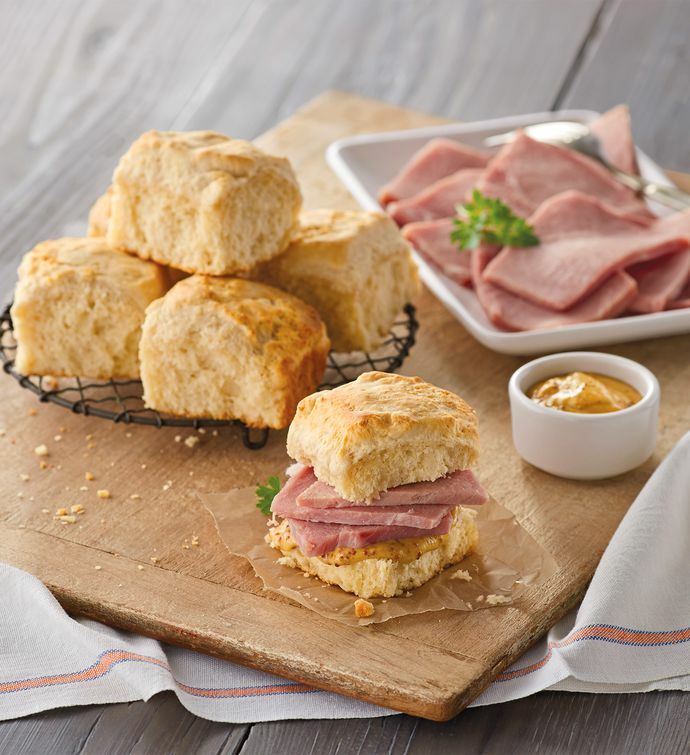 Simply heat the pre-baked buttermilk biscuits for fifteen minutes at 400 degrees from frozen and they'll emerge warm, delicious, and ready to enjoy with a slice of tender ham.